Hey guys! In my recent post, I mentioned about the new Jewelry Eye Color from Heroine Make and I was so intrigued about a primer being part of the quad that I couldn't wait to try them. 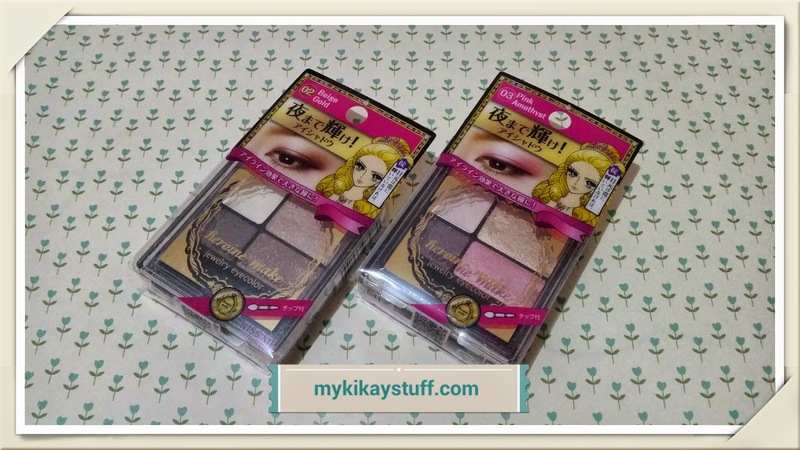 Heroine Make was kind enough to include 2 of the 4 palettes in our goody bag during its launch held at the office of Mandom Philippines Corporation, Heroine Make's official distributor in the Philippines. I randomly got 02 Beige Gold and 03 Pink Amethyst. 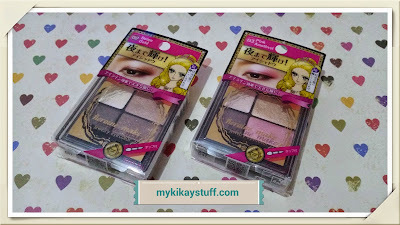 Packaging was pretty simple and I like that the cover is transparent for ease of identifying which palette you have. 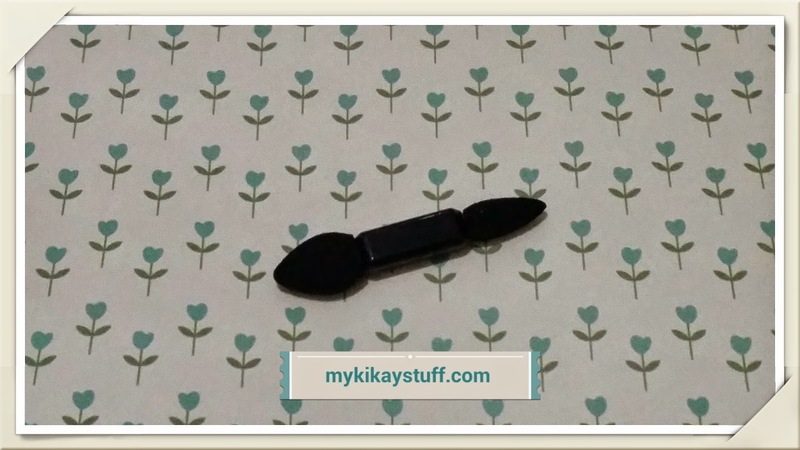 Each quad comes with a double ended applicator, one is round and tapered while the other is slimmer with a pointed tip. Although I'm not fond of using sponge applicators, I still like having them in the palette, you'll never know when you need one. As told by Ms. Igarashi, Heroine Make's official Make-up Artist and Beauty Counselor, this quad has everything you need. 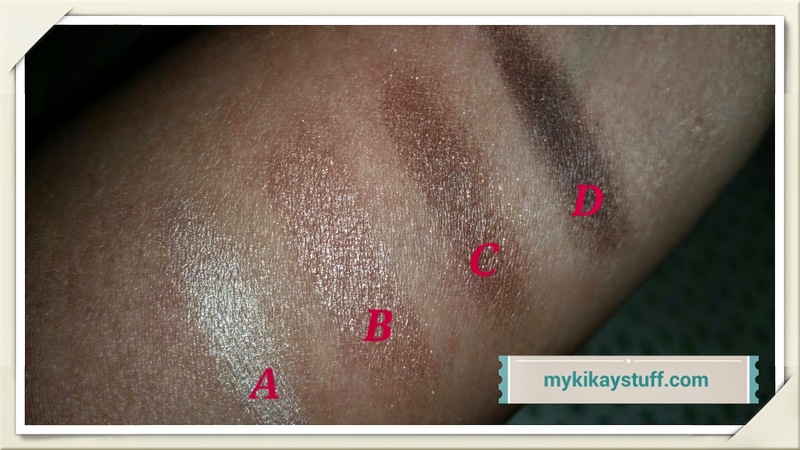 It includes a primer or a base color (A) which goes on the entire eyelid, a lighting pearl (B) which you also apply on the entire eyelid and the inner corners of the eyes, a nuance color (C) intended for the crease down to the edge of your eyelids and an eyeliner (D) which you apply on the outer edge of the upper eyelid and outer third of the lower lash line. The 02 Beige Gold quad has a creamy white base, a metallic bronze gold, a rich bronze and a deep metallic brown. 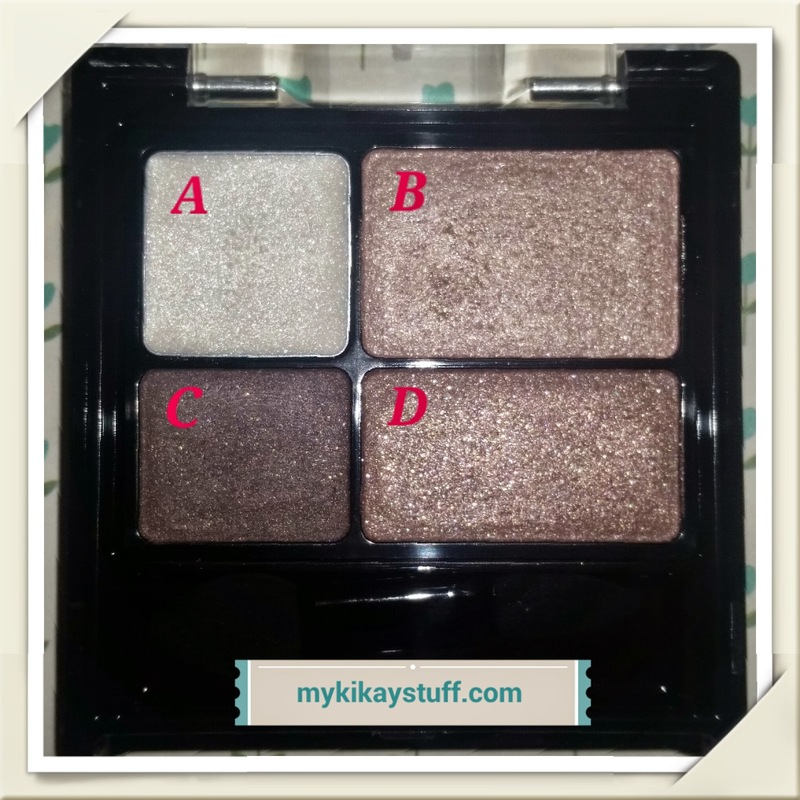 This palette will make your eyes pop with shimmer so remember not to pack too much of the product on your brush if you don't want specks of glitter dusted all around your eye area. I made a mistake applying these with my finger the first time and ended up removing glitter fall-outs on my cheeks. The 03 Pink Amethyst quad also has a creamy white base, a metallic gold, shimmery light pink and a metallic brown. 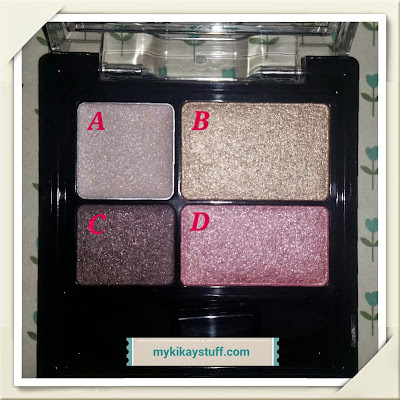 This is a pretty palette which has more of a frosted finish compared to the glittery effect seen with the 02 Beige Gold. 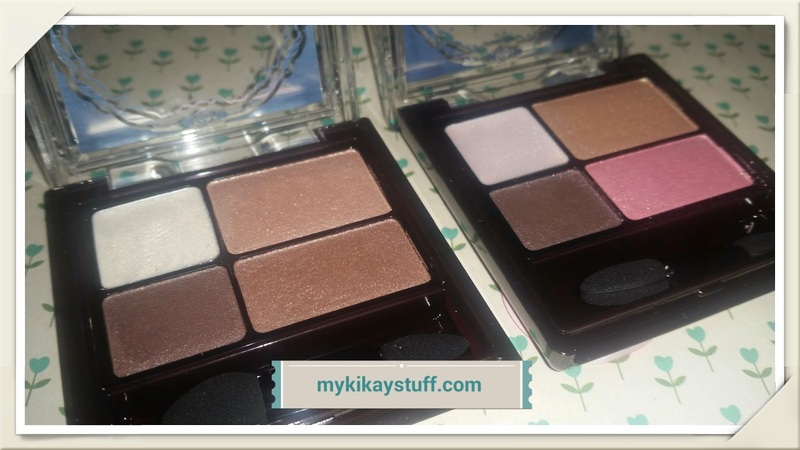 Overall, I am obsessed with the Kiss Me Heroine Make Jewelry Eye Color because these shadows are so rich and soft. I love that these are highly pigmented and a small amount can already give you a nice pop of color. Staying power is pretty impressive since it stays on without creasing for the entire day. Although I like the 02 Beige Gold, the 03 Pink Amethyst has got to be my favorite because it doesn't boast of too much shimmer yet packs on color. 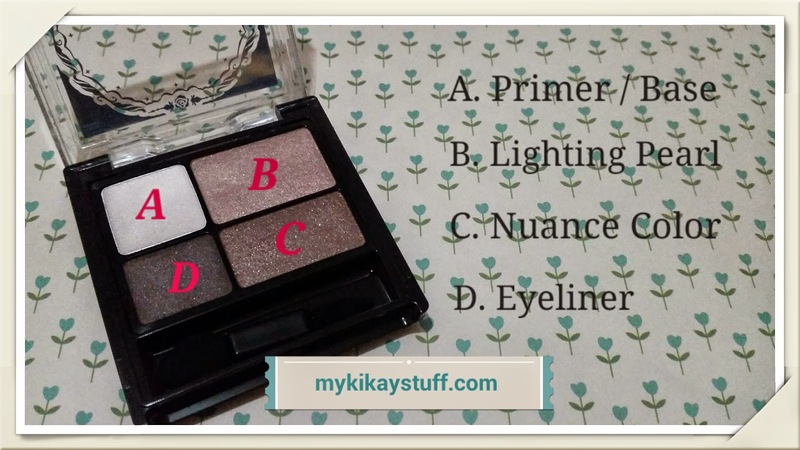 I also love the convenience of having the primer, eye shadow and eyeliner all in one palette. If you're not into glittery shadows and prefer just the right amount of shimmer, you will definitely like 03 Pink Amethyst but if wearing glittery eye shadows is your thing then the 02 Beige Gold quad is for you. Best of all, these palettes are in the midrange when it comes to price, Php 595 per quad is quite a reasonable price for such a good quality quad. 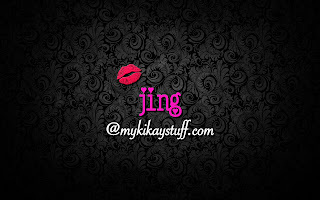 That's it guys, thanks for reading my post and have a great weekend!